Comments: Cover has light wear on the corners, looks brand new otherwise. 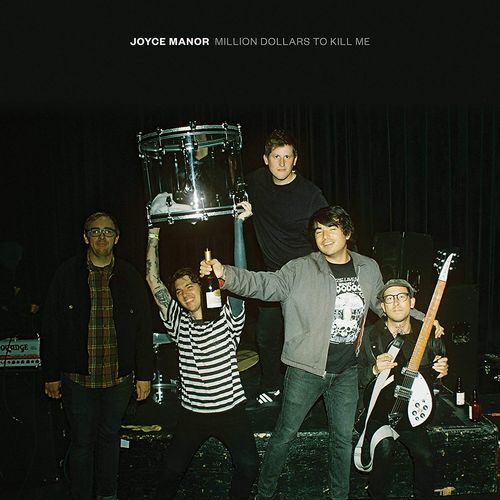 A seriously breezy vibe has overcome the usually peppy emo/pop-punks Joyce Manor on their fifth studio record, the cheerily named Million Dollars To Kill Me. Nowhere is this more apparent than on single “Silly Games,” which turns down the distortion a bit to make room for some strum-along acoustic guitar as well as a catchy, twee-inspired glockenspiel accompaniment. Or consider the title track, which instead of thrashing around in pop-punk glory, delivers its woebegone sentiments with the stately demeanor usually befitting a band like Teenage Fanclub. Shades of Weezer (Blue and Green albums) are all over this one, not to mention hefty doses of Jawbreaker and Tony Molina, as Joyce Manor out-mellow the competition in releasing the most masterfully crafted bummer of the summer.